Angela Morley BSc (Hort) Dip. PSGD designs wildlife friendly gardens across Somerset and Dorset. 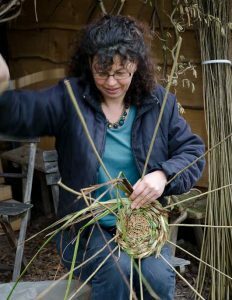 She is an experienced horticulturist having taught gardening at both Sparsholt College (Hampshire) and Merrist Wood College (Surrey). Angela builds on her in depth knowledge of plants, flowers, ecology, wildlife and woodland management to add richness to her gardens for both the wildlife and the enjoyment of its owners. She is happy to offer one off consultancy and planting plans through to the full design service. 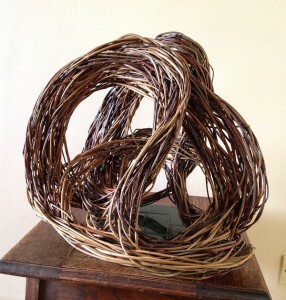 Her sculptural willow weaving is a response to nature and uses a wide range natural materials. The work can be displayed indoors making for original interior design pieces or as a focal point in the garden where it will mellow and return to nature over time. Contact Angela via the contacts page or on 01749 830205.